We write to you now to say that we have missed you, and that we are sorry for having abandoned you to the cold, unfriendly climes of the internet. But, as penance, we have labored long and in secret to recreate our tiny fallen kingdom. 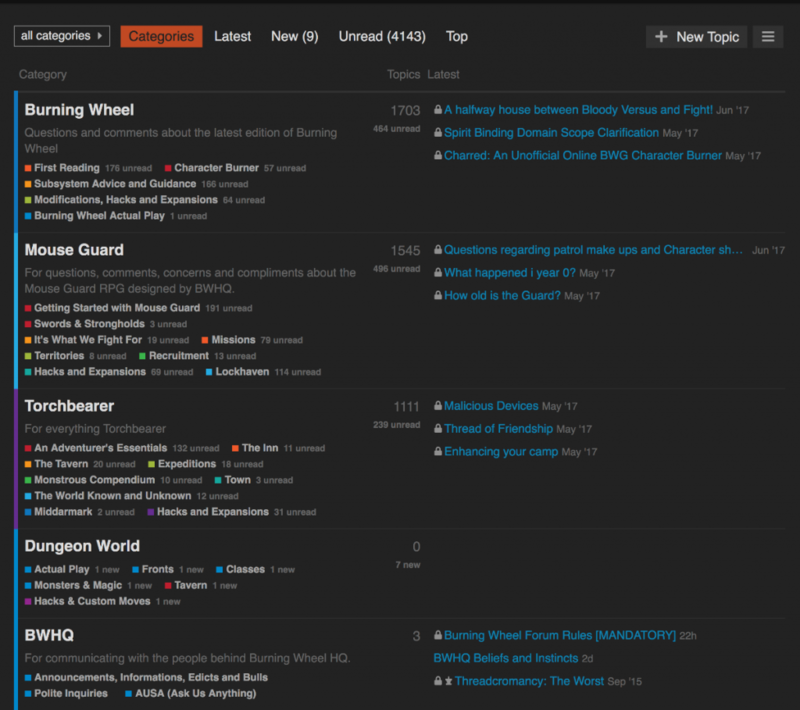 Behold, the new Burning Wheel HQ forums!